Christmas is drawing close. It’s that time of the year, when people all around the world celebrate the birth of Jesus and the holy joy that these holidays bring. In fact, Christmas is one the most cheerful and most-awaited time of the year by everyone. 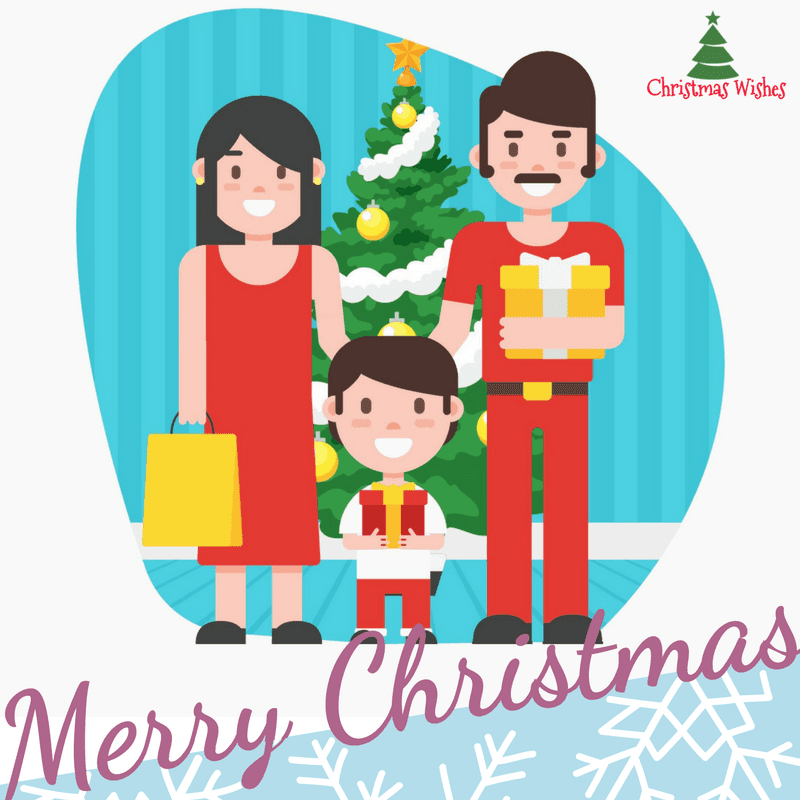 Be it a kid wishing for presents, or families waiting to greet their near and dear ones, everyone loves this festive season. May Santa bring all the love, happiness, and content to you this holiday season. Merry Christmas. The blessing of peace, the feeling of Hope, the Joy of Love, may this Christmas bring all these gifts for you. Christmas brings family and friends together. It helps us to cherish the love and blessings we often take for granted. Let this holiday season fill your heart with true happiness. With this joyful season, lift yourself up and cherish all the moments. Sing all those melodious carols and brighten your house with the glow of that ever-shining Christmas tree. Happy Yuletide. Let makes this Christmas more beautiful and pleasant without any thought of greed and sorrow, but a lifetime feeling of long-lasting love and the joy that this festive season brings. Give and receive love this holiday season, and you will surely have a happy Xmas. Best wishes to your family this season and always. May Christmas spread cheer in your lives! May the magic and divine gifts of Christmas gladden and fill your hearts with joyful songs, happiness and laughter. May the joy and the love of the Christmas season wrap you with infinite joy during the season and in the New Year. Christmas is the of blissful peace, goodwill and abundance of mercy, may the joy of Christ’s birth fill your heart with gladness and laughter. Wishing you Snowflakes, sheer joy, long lasting friendship and a Merry Christmas. The Season of Love, Joy and Peace has arrived, Celebrate this Cheerfulness forever and not just today. Let this season of pious joy gently fill our hearts and homes. In this merry season, may you find many reasons for happiness. Merry Xmas. 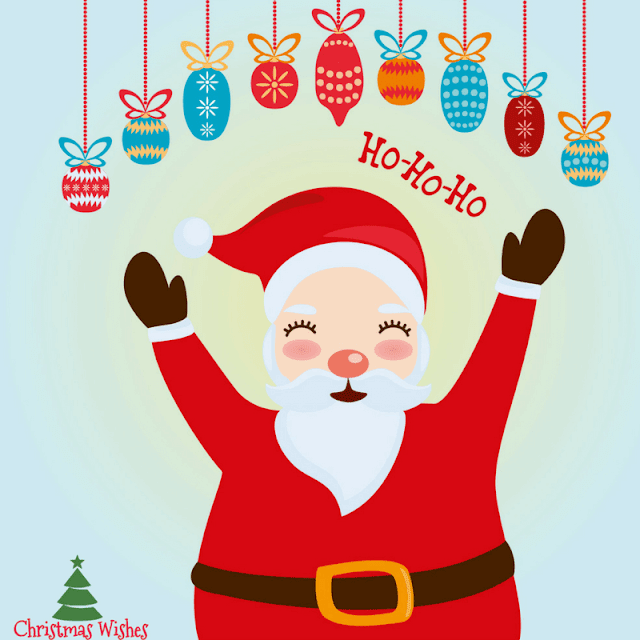 Wishing that Santa would bring you all the love, rejoice, and joyfulness to bless you and your family with its warmth. If an Old Man puts you in a bag at night, don’t worry. I told Santa that I want you for Christmas. Hope your holiday season is full of fun and festive. Merry Christmas My Dear Friend. 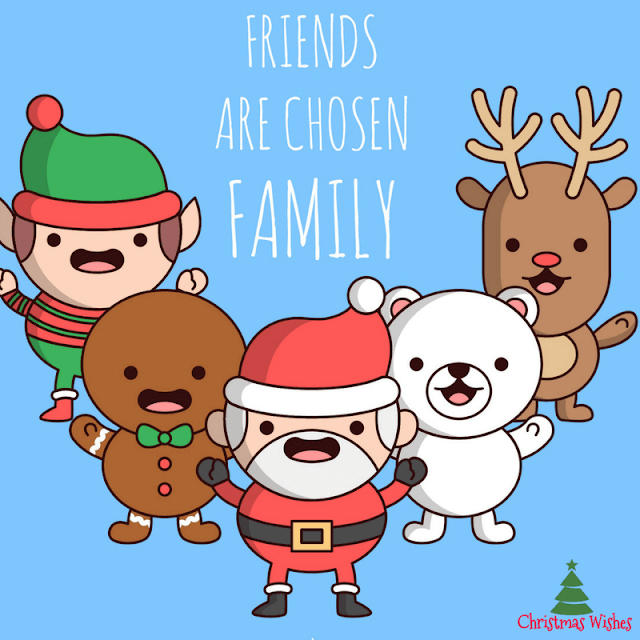 Among the Christmas carols, cookies and boxes of presents, may your family be blessed with all the love and the contentment that this season brings. Wishing you and your family the best during this happy festive season. I desire that your hands should always remain full of candies, cookies, love, and enjoyment. Christmas is the time to share the joy: a time forget all your woes and aspiring a hopeful future for you and your loved ones. Enjoy! May this wish puts a cheery smile on your face and fill you with determination and passion for fulfilling all your dreams. Merry Christmas My friend. Merry Christmas and a Happy New Year. Celebrate all those delightful gatherings with your dear ones and cherish what you have. Amidst these snowy flakes and the warmth of this festive season, may you celebrate these holidays with the sheer excitement and love. Bless us Lord, this Christmas, with quietness of mind; Teach us to be patient and always to be kind. Merry Christmas. You know dear friend - life is sometimes strange, forming a friendship bond, that will never ever change. Smile often, love always and good things will find a way to enter your life to give you a true sense of happiness. Wishing you and your family health, happiness, peace and prosperity this holiday season and in the coming New Year. May the magic of Christmas fill your heart all year long. I am dreaming of white Christmas with every card I write. May your days be merry and bright and May all your Christmases be white. Don't forget to Subscribe via email or Like us on Social Media Channels to get notification about our Latest Merry Christmas Wishes, Wallpapers, Images and Pictures. 10 Funny Christmas Quotes that will make you Laugh!! 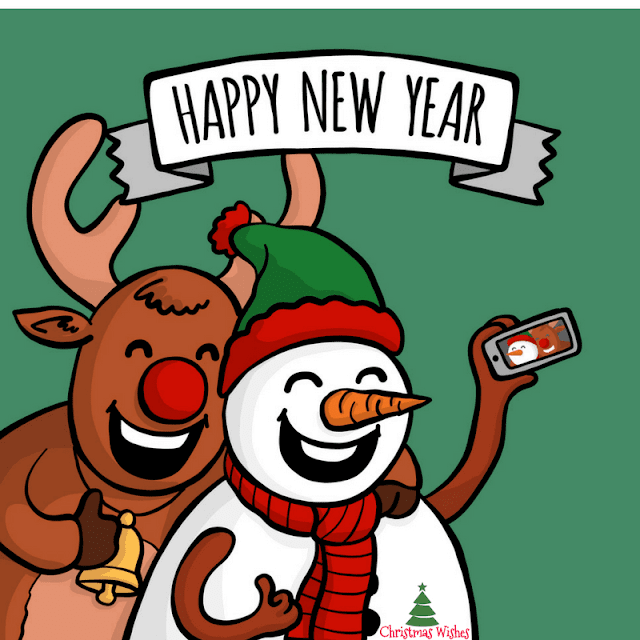 © 2016 Frohes Weihnachten und Neues Jahr 2017/18, Silvester Wünsche,Sprüche, Grüße, Blider, Karten, gif.